For almost a decade, North Kansas City Bureau of Investigation has been Kansas City’s award-winning solution for security and surveillance, both residential and commercial. 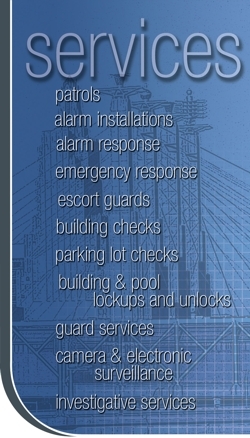 NKCBI is the only full-service security company in Kansas City that specializes in security patrol, stationary guard, CCTV’s and the installation and monitoring of alarms. We are your complete solution in the security market. There is no other company in the city that can match our dependability, versatility and effectiveness. Family owned and operated, with more than 30 years in business and over 200 valued clients in the metro area, we understand the seriousness of helping to protect your business, employees, home and family. At North Kansas City Bureau of Investigation, we combine the latest in technology with the unmatched quality and experience of our staff. 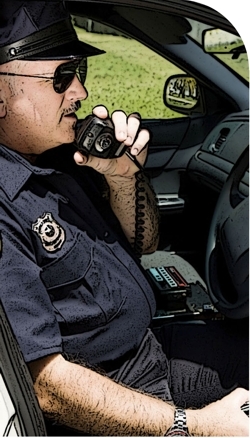 We work with each client individually to determine the most effective security option. And unlike most companies, we not only install the system, but we personally maintain, monitor and respond to that system. We’re there for you 24 hours a day, seven days a week with dispatchers who are always there to answer your call. You will never get a voice mail or answering machine. Our services protect your property and the people who are important to you, they also have the added benefit of lowering your insurance rates. NKCBI is the oldest and largest private patrol provider in the Kansas City metropolitan area spanning 9 counties, 2 states and 119 jurisdictions. We have a long and diverse history of providing safety and security to our vast portfolio of Kansas City clients. Our reputation dates back to 1969 when the original owners wanted to create a company that truly met the needs of their clients.